A special event this weekend will benefit the San Diego Food Bank. 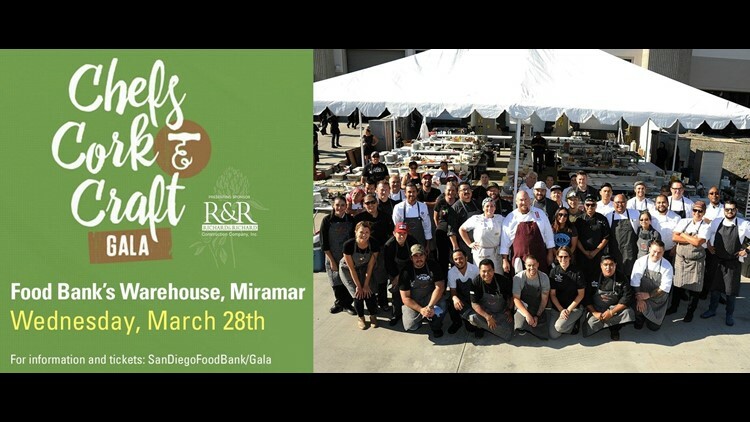 SAN DIEGO (NEWS 8) — A special event this weekend will benefit the San Diego Food Bank. The Chefs, Cork & Craft Gala at the food bank's warehouse on Saturday will feature 30 local chefs who are donating their time, food and talent to raise funds for hunger-relief programs. Several participating chefs stopped by Morning Extra with a preview of the festivities.